At Roses for Autism, people with autism or other disabilities are given a chance to grow their career. A nonprofit in Guilford which employs people with autism to help with their rose business due to higher costs. A gift of flowers can brighten someone’s day. But one flower shop in Guilford has provided a lot more than that for people with autism and other disabilities. Now a place that has helped so many blossom is closing. With pride and an eye for detail, Caitlin Harrigan and others aren’t just preparing roses for sale in Guilford. “It’s been a fun learning experience for me. I’ve been through a lot of different day programs in my life and this was the perfect one,” Harrigan said. At Roses for Autism, people with autism or other disabilities are given a chance to grow their career. But now after nine years, this non-profit says this beautiful program is coming to an end. “It’s a dream idea. But there are the financial realities and that’s what makes it so difficult to have to do this,” Michelle Ouimette, Roses for Autism managing director, said. Ouimette blames the move on higher costs, including for growing the roses and operating the greenhouse. “We’re just not able to compete anymore. We need the rose business in order to provide the services we’ve been providing to the individuals in our program,” Ouimette said. The news hit the current staff hard, including Lee Owens. “Yes I heard about it and I don’t want that,” Owens said. 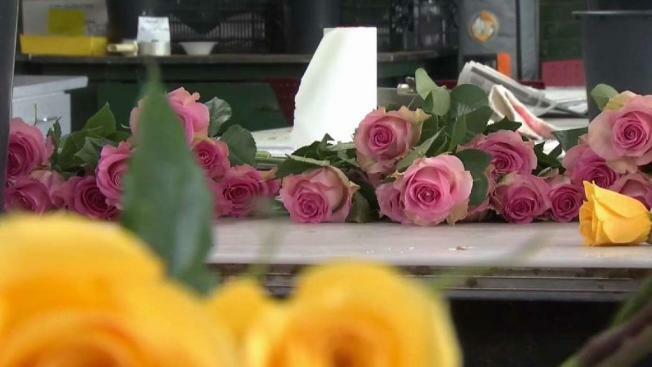 Their spirits are brightened by how the sale of millions of roses made a big difference. In about one decade, 175 people gained important work skills and many have found jobs elsewhere. “We’ve made a good impact in the local community, we’ve run great programs. There’s been other program modelled after ours so hopefully it’s legacy will live on,” Ouimette said. For now they’re thanking those who supported the mission. But there’s not a lot of time to rest because the shop will be open through Mother’s Day, one of their busiest holidays of the year.